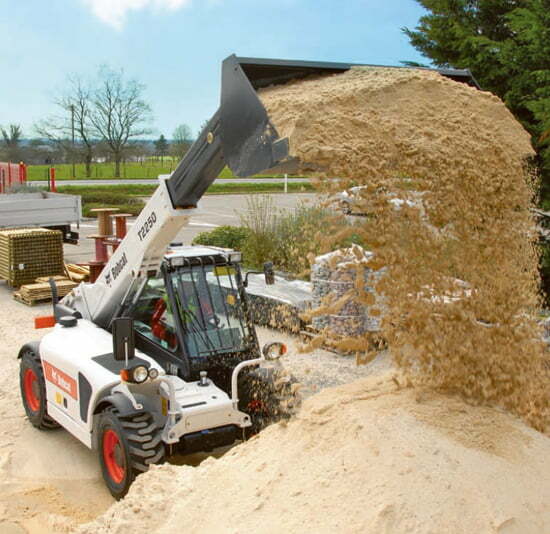 With the Bobcat T2250, you get the capabilities and productivity of a Bobcat telescopic handler, skid-steer and articulated loader – from one exceptionally versatile machine! Not a compromise, but a combination. This machine is equipped to tackle all your loading jobs…but with greater reach and lifting height than any loader. For better productivity and safety With the engine located on the side of the machine, the T2250 off ers 360° visibility from the cab. This design also ensures easier access for routine maintenance.